According to the U.S. Department of Health and Human Services, 14.3 million people in the United States had a major depressive episode in 2008; this number constitutes 6.4 percent of the U.S. population in that year. One medication used to treat depression is a serotonin modulator named trazedone, available starting at a dose of 50 mg. According to MedlinePlus, trazedone belongs to a class of drugs that increases the amount of serotonin, a naturally-occurring substance in the brain. However, taking this drug comes with multiple possible side effects. 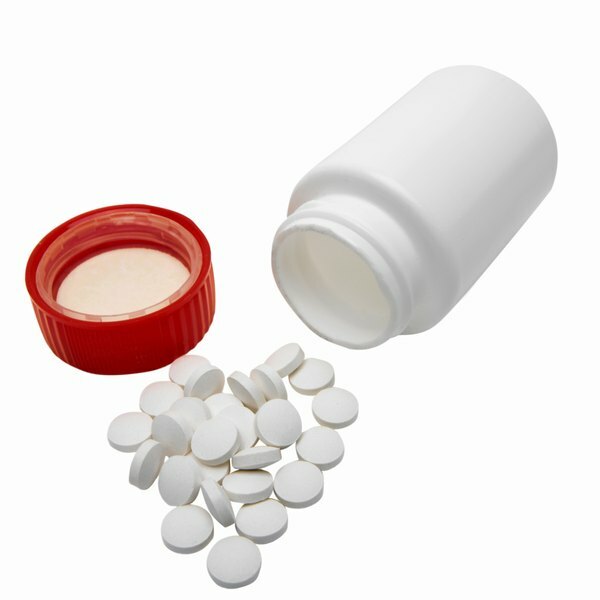 MedlinePlus reports that possible mild side effects may occur as a result of taking trazodone. These include nausea, vomiting, diarrhea, constipation, changes in weight or appetite, weakness, nervousness, trouble concentrating, nightmares, muscle pain, dry mouth, sweating, blurred vision, red and/or itchy eyes, and a ringing sound in the ears. If these side effects become severe or do not go away, seek medical attention. Drugs.com and MedlinePlus list certain serious side effects that may accompany trazodone use which warrant immediate medical attention. These side effects include: feeling light-headed and/or fainting; flu-like symptoms such as fever, chills and body aches; difficulty urinating; chest pain that may spread towards the arm or shoulder or a heavy feeling in the chest. Certain additional side effects may indicate an allergic reaction; these side effects include skin rash, difficulty breathing, swelling of the face, lips and/or tongue. If any of these side effects occur, consult a doctor. MedlinePlus reports that there is an association with taking trazodone and experiencing psychological side effects, including suicidal thoughts. These side effects were reported during clinical trials in response to multiple different antidepressant medications, including trazodone. Though psychological side effects, such as suicidal thoughts, occur only rarely, clinical trials showed they significantly affected children, teenagers and young adults up to 24 years of age. Suicidal thoughts are more likely to occur at the beginning of treatment with trazodone or when the drug dose is increased. MedlinePlus also reports the occurrence of other psychological side effects associated with taking trazedone. These side effects include extreme worry, panic attacks, agitation, insomnia, aggressive behavior and an abnormal level of excitement. Seek medical attention immediately if these side effects occur.